Hiya! My name's Nicky and I'm living in Carrickfergus. I have a five month old called Oliver and am due to go back to work in August! 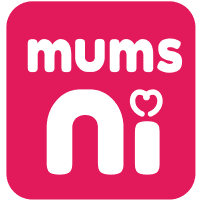 I also run the Facebook page Northern Ireland Mum. \r\n\r\nOutside of mumming, I am a bit of a nerd and enjoy computer games and marvel movies. I also used to be a singer for hire and still enjoy singing recreationally, as well as storywriting!\r\n\r\nLovely to be here and hope to make some new friends!